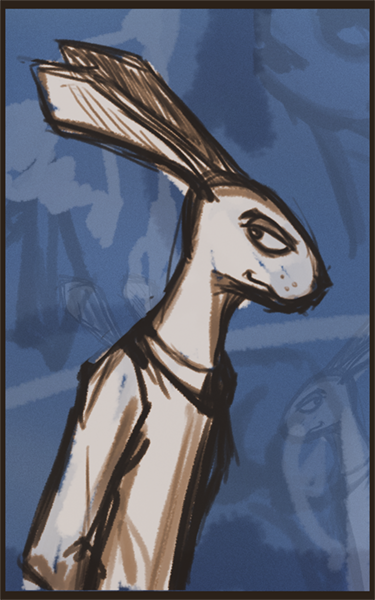 Another version of the White Rabbit character design. Here I think I succeeded in eliminating the “creepy” feeling of the previous version (which seemed to really bother some folks) and he’s still more sleek & charismatic than the original “dirty bum” version… and most importantly, there is definitely the sense that he’s not at all safe or sweet… but somewhat sinister and dangerous instead. I think this is a good base for me to move forward with this character design… more to come soon, I hope.